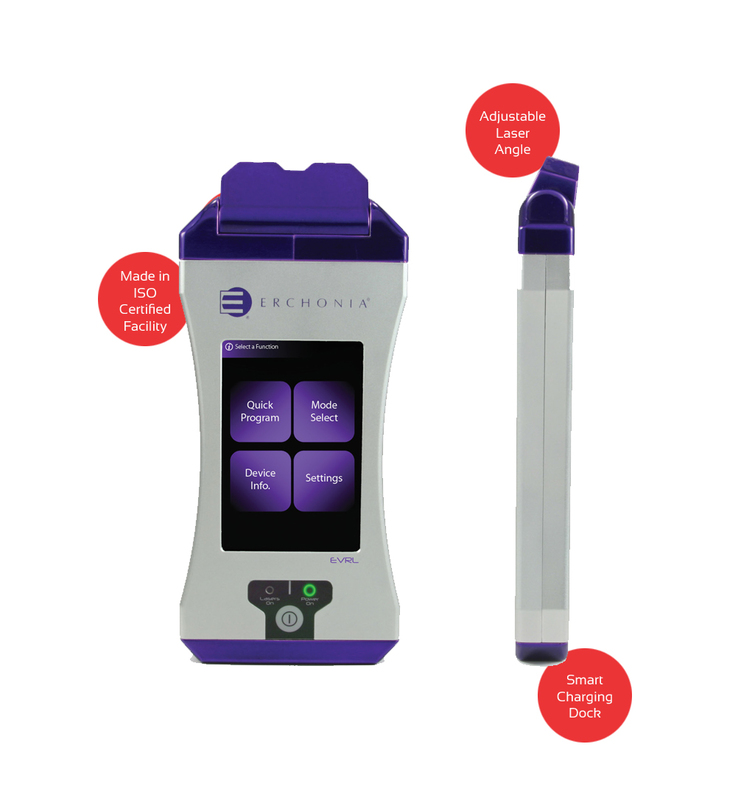 The EVL Violet Laser System is the newest Erchonia handheld laser in “smartphone” size with a user-friendly graphical user interface (GUI) and a sleek new cord free design. Operating at a wavelength of 405nm and 635nm, the EVL Laser provides the practitioner with an innovative tool for a whole new array of animal ailments. The EVL Violet Laser System comes with easy to use preset protocols for canine, equine, feline, exotics and user-programmable channels. 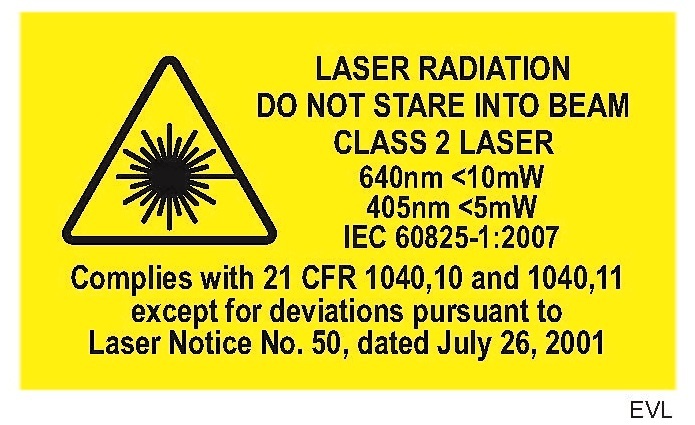 When you choose EVL pain relief lasers for your veterinary clinic, you’re getting more than just a traditional low-level laser. The EVL laser system is designed with both red and violet lasers to offer varying wavelengths for a greater range of treatment options within one device. The red laser is appreciated for its superb healing qualities, while the violet laser provides anti-bacterial and anti-microbial properties. Together, the two lasers allow veterinarians to safely and effectively treat an exceptional range of conditions. Low-level laser therapy (LLLT) has been used to promote weight loss and pain relief in humans for over 50 years. Now, veterinarians have the option to harness this innovative technology as an alternative treatment option to provide animals with notable pain relief. The laser’s low levels of light penetrate animals’ bodies without intrusion to alter cellular functions, naturally reducing oxidative stress and encouraging cellular production of ATP. Unlike drugs and traditional surgery, Erchonia’s lasers for vets are entirely harmless to animals, causing no pain, scarring or adverse side effects. The animals remain awake throughout the procedure and experience no downtime — some of the many reasons why pain relief lasers are an ideal choice for any veterinarian looking to keep their patients as happy and healthy as possible. The broad use of the device’s red and violet lasers make it ideal in treating a range of cases in dogs, cats, horses and exotic animals alike, making it suitable for any veterinary clinic. Contact us today to order an EVL red and violet laser system for your clinic, or search our list of providers to find a vet offering Erchonia laser treatments near you.